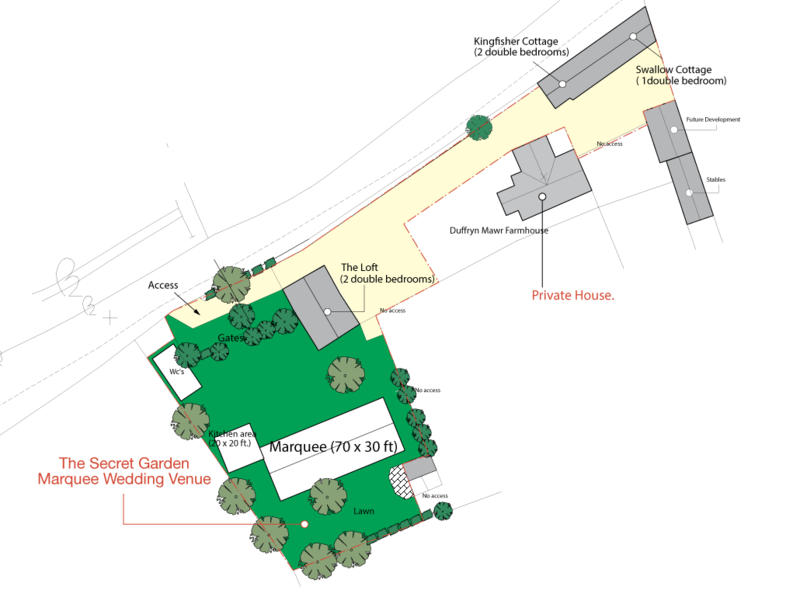 The Location of The Secret Garden At Duffryn Mawr, A Beautiful Country Garden Wedding Venue in The Vale of Glamorgan. 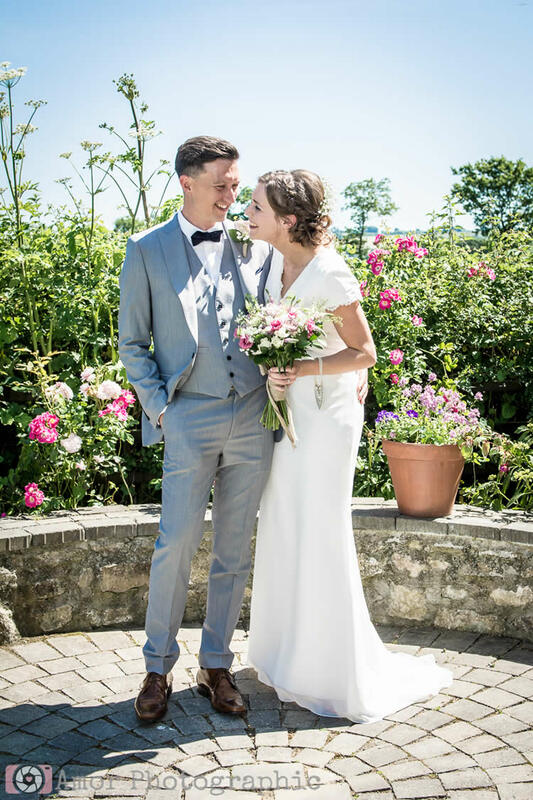 Nestled in a small valley in the glorious green Vale of Glamorgan, your wedding party will be very private. A pleasant walk through the fields to the picturesque village of Pendoylan, your country setting is assured, but with close road links to the A48 and M4. Just 5 minutes from the M4, access to Cardiff takes just 10 - 15 minutes, and Cardiff International Airport is a 20 minute trip. From Cardiff take the M4 Westbound. From Swansea take the M4 Eastbound. Turn off at M4 Junction 34, heading towards Pendoylan. Before the main village is a hamlet called Clawdd Coch. At the cross roads turn left, and follow the lane down the hill. The Secret Garden at Duffryn Mawr is on the right hand side at the bottom of the hill. The leafy space that is The Secret Garden can be used as you wish; from 130 people seated to 150 for the evening party. You choose to make The Secret Garden yours. I'm still on cloud nine, the most perfect day in every way. All your hard work certainly paid off. Many thanks again for making Rob and Kaths wedding day one to remember.